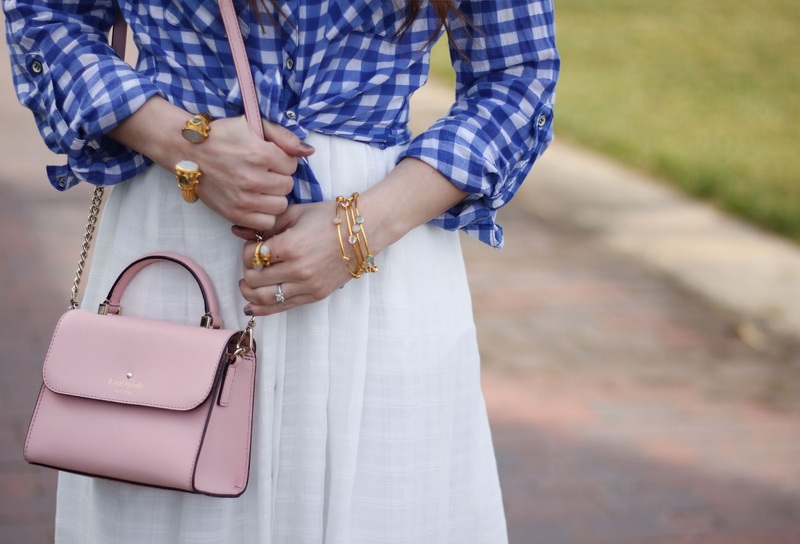 In case you couldn’t tell already, I’m a sucker for gingham print and blush pink lately. 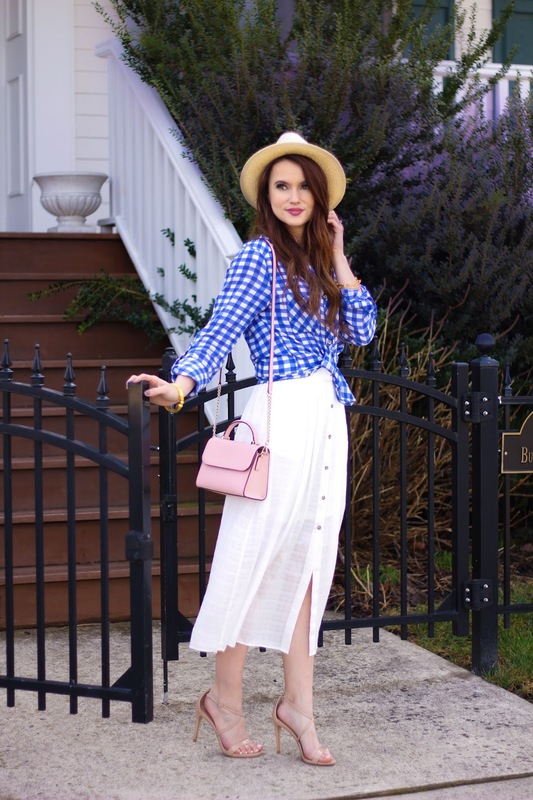 This spring outfit has me giddy for warmer weather, and days out spending time with my family enjoying the sunshine. 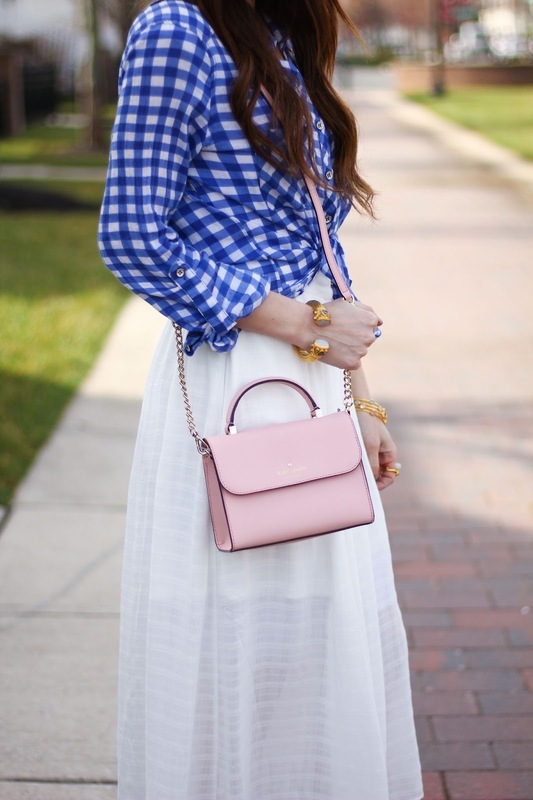 This button down white skirt is perfect for just that. Soft, flowy, and oh so adorable. Dress it up with heels, or with your favorite sandals; the possibilities are endless. You can grab this gingham print blouse on sale, and might I just say, its the perfect color! Hope you all had a fabulous weekend! Happy Monday! Previous Post Fab Finds Friday outfit for under $100!